If there’s anything I learned growing up in the 80’s and watching GI Joe it’s that knowing is half the battle. Rebounding from failure means first being able to acknowledge it. It means admitting that you’re wrong, not making excuses for it, and saying your sorry. We all know people who are the perpetual victim in life, never taking responsibility for their actions. Nobody likes that guy. Nobody. Owning your mistake let’s people know you can be trusted and they’re more likely to give you another shot. Human beings learn best through failure. I’m not sure what it is about the mechanism of making a mistake, but failures tend to scream louder than the soft whisper of success. Once you’ve owned your mistake, take time to figure out what went wrong. Maybe it was a lack of planning. Or being too rigid with your plan. Or bottling your feelings up and not dealing with an issue in a health way. Whatever it is, take time to figure it out so you don’t repeat the same mistakes twice. Write out a plan of how you will do better next time. This is where I struggle the most. I replay a failure in the theater in my mind over and over again. It’s about as annoying as the movie trivia in theaters that’s set on perpetual repeat until they start the previews. I have a hard time turning it off. But I know better. I know I’m more than my mistakes. I know my fate isn’t solely determined by any single failure. 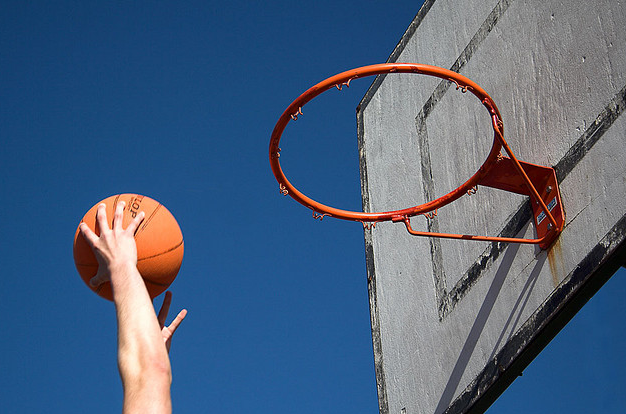 Rebounding won’t happen until you’re able to forgive yourself. Failure is never fun. There’s the kind of failure we let eat away at our soul and self-esteem, killing dreams. Or there’s the kind of failure that is a launching pad to our next win. Learn to rebound from failure by owning what you did, learning from it, and then letting it go. For more tips on rebounding from failure check out Failing Forward by John Maxwell.